In childhood, I drew and drew and drew some more. Then, my father taught me photography and my great-uncle the joy of painting. Later on, I explored stone carving and when one day could manage neither stone nor chisels any longer, I learned the gentler art of fabric sculpture. 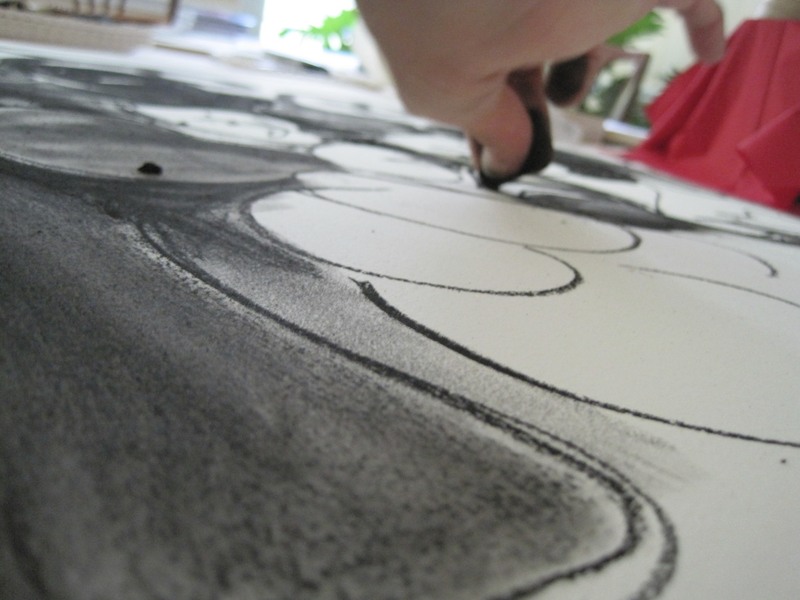 Nowadays, I am back to drawing in charcoal and pastel from life or imagination. I also paint in acrylic, loose experimental works through which I often run a narrative thread. Every medium is an adventure on which I embark for the sheer pleasure of experiencing the surprises and discoveries along the way. What matters most to me is to capture the moment, the look, the feel of what is beyond words and moves me emotionally. I have been a juried member of the Torpedo Factory Art Center in Old Town Alexandria, Virginia since 2004 where I leased a studio for many years. I have shown my stone carving works in art galleries in Virginia and the District of Columbia and had a solo show in 2004 at the Art League Gallery, Alexandria, Virginia. My first painting show occurred in July 2014 and solo show in 2016 at the 868 Estate Vineyards, in Purcellville, VA. I am currently represented by Sandy Bay Gallery on Hatteras Island, North Carolina. However, you can also purchase my work directly from this site.